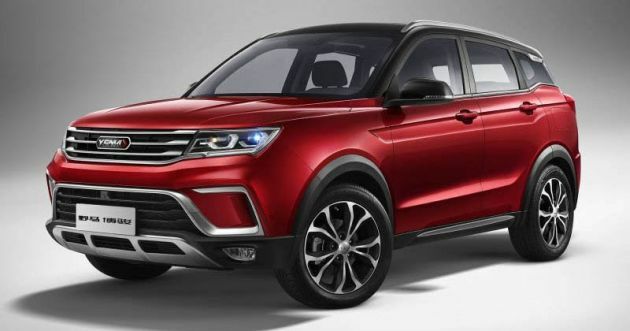 While some automakers in China are known to copy brands like Porsche and Land Rover, this is the first time we’re seeing one have a go at Geely’s SUV. 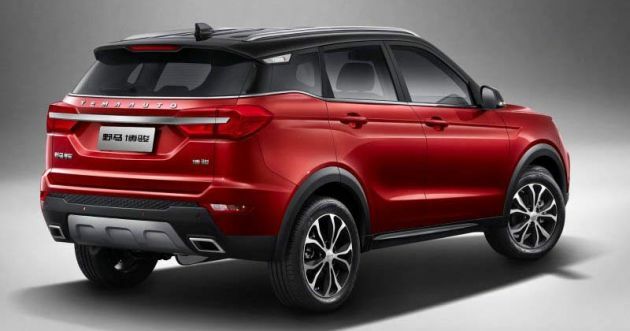 According to CarNewsChina, the Bojun was previously known as the T60, and will be priced from 60,000-90,000 yuan (RM36,448- 54,672). At first glance, it certainly looks like a Boyue, although there are some details that do try and create some discrepancy. The most obvious is at the front, where the “expanding cosmos” grille has been replaced with one that features horizontal slats instead, flanked by tweaked headlamps. The lower apron is different on the Bojun, as it has a rather prominent trim piece that nearly spans the entire width of the bumper, looping around at the corners. There’s also a faux skid plate at the front and a larger intake, both being absent on the Boyue. Along the sides, we’re finding it hard to spot a difference between the original and the copy, but if you look closely at the creases near the door handles, you’ll notice those on the Bojun are a lot more pronounced compared to the Boyue. What else? Well, the rear also has a chrome trim piece linking the taillight clusters, although they really go the distance on the Bojun. Elsewhere, the tailgate is shaped differently to better frame the license plate, while the exhaust outlets are more squarish. Despite the visual similarities, the Bojun is actually smaller than the Boyue, measuring 4,360 mm long, 1,830 mm wide, 1,680 mm tall and with a 2,550 mm wheelbase. By comparison, the Boyue is 4,519 mm long, 1,831 mm wide, 1,694 mm tall and with a 2,670 mm wheelbase. If the exterior is a little lacking in imagination, the interior tells a different story. 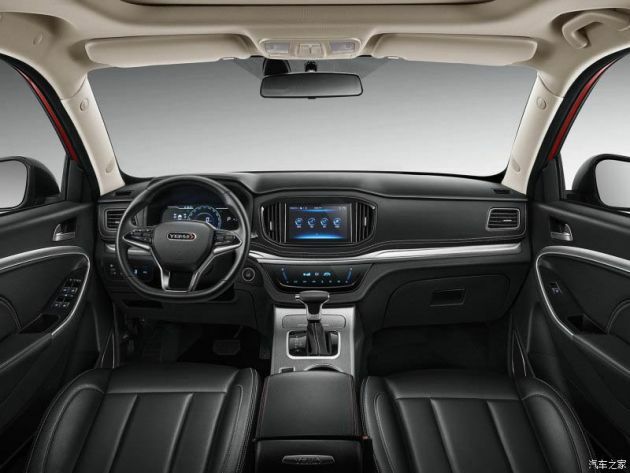 The dashboard layout is completely different here, with air-con vents placed beside the touchscreen infotainment system rather than above it like in the Boyue. The air-conditioning system is also operated via a touch-sensitive panel instead of dials and buttons. Further down, the centre console is completely different from the Boyue, as there is a small storage cubby just ahead of the gear lever and exposed cupholders, with the electronic parking brake and brake hold switchgear located just beside the latter. Yema’s creation also has a smaller steering wheel boss compared to the Boyue, although the digital instrument cluster is another nod to the source material. Engine options include a 1.5 litre naturally-aspirated petrol unit with 112 hp paired with a five-speed manual, and a turbocharged 1.5 litre that gets a CVT instead. Mai gawd! Even China own car oso kena celup by China. Theres no reason to celup unless the car is a great success and so that means Boyue/X70 has been an outstanding success if they prefer to celup this car instead of 2018 COTY XC40. As they say, celuping is the best form of flattery. So tahniah GeelyP1! Rear is another copy of New Perdana. What’s to make of this? I thought New Perdana rear was supposed to be ugly but China is copying, even Honda is copying for their new Accord. Was Proton spot on with the Perdana rear design all along? I don’t get it. Which car did the Boyue cloned from? Care to enlighten everyone here? China make good cars. This is why we should get more China investments as well as more China people into Malaysia. Agreed. I prefer Mainland Chinese work ethics over Japanese work ethics. Mainland Chinese works hard but honest. They won’t work hard to underspec their cars, you can see so many features and modern high tech stuff in Proton X70. They won’t work hard to cut cost everywhere until it compromises safety like Japanese branded airbags. They won’t work hard to oppress non-Jap Asian workers unlike the Japanese bosses. They won’t work hard to cheat customers with fake data like the Japanese did with fake emission results and fake fuel consumption numbers. We must ditch the Japanese unethical work ethics and embrace the more wholesome Mainland Chinese work ethics. The interior looks waaaaayyyy much better than Aruz. Light years of difference with Toyota ASEAN local designs. Hmm, 2550mm wheelbase with 1.5L engine…. is it using Vios chassis as the base? Does it even come with AWD powertrain? Idiot troll so fast to bash without even reading the whole article. The Bojun is much smaller than Boyue. So take your stupidity and troll somewhere else! Why not you starts car manufacturing plant and launch a RM60k suv for the people of Malaysia? Kesian basher. Nobody care about his Anuz, if it was a success China will clone it, but instead they clone really successful car like Boyue/X70. Kesian P2, nobody bothers to clone a rebadge. This clearly shows that if Geely wanted to give us a car for less than RM40k, it could have. After all, the Geely Boyue is only RM60k. Stop spreading lies, troll. RM60k can’t even get the cheapest Boyue with manual box and less powerful engine in China. Geely truly has arrived. Chinese firms copy Western and Japanese products. For a Chinese product to be imitated? Wow. Well done, Chairman Li Shufu. Well done indeed. Wow only when shared on social media does paultan report about a Chinese car. What about all the other Chinese cars? U mean like Zoyte and Landwind? Been there, done that. Madness! China hijacked china + proton! Even pasar malam car have clone. Well done China. The question is, will there be p1 and p2 argue in this comment over this? This clone is the real game changer. Habisla X70!! nowadays, people copy proton. syabas. This is a testament that Geely is getting much better in making cars, reminds me of Huawei in their early foray in international market. Pretty nice and attractive prices, but it will arrived in Q4? That’s a little bit of time there gonna wait. Yalah. Just like how Rolls Royce copy “Geely GE”. So anyone here interested to clone Yema Bojun. Then he/she will be King of All Clone. Shortform > New car brand called KingClone. Dei! King of clone is Perodua. They have been cloning for 30 years since the start.